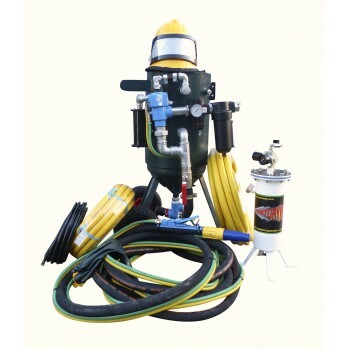 Full size suction blast gun, complete with media hopper, and 6 mtrs blast hose. 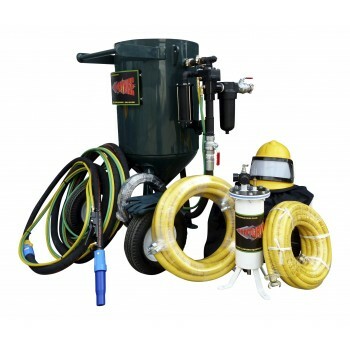 Lightweight, comp..
CENTURYWISE C 20L BLAST POT THE 20 LITRE POT IS THE SMALLEST IN THE RANGE, AND IS PARTICULARLY SU..
A COMPLETE START UP PACKAGE OF BRAND NEW EQUIPMENT. 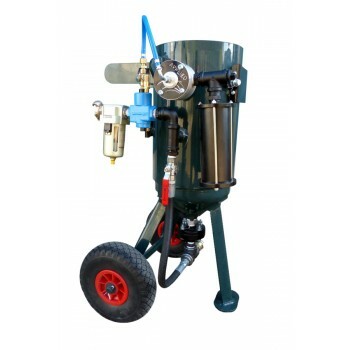 ALL YOU NEED IS A COMPRESSOR (MINIMUM 50 CFM ), ..
WORKS WITH SMALL 240V COMPRESSOR, USE WITH GRIT OR SODA THE C20L BLAST POT HAS BEEN CREATED FOR C..
NOW COMES WITH PRESSURE REGULATOR FITTED AS STANDARD ! 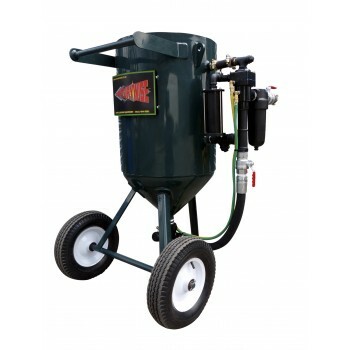 THE 50 LITRE BLAST POT IS THE MOST ..
blast pot, package, blasting, shot, grit, sand, sandblasting, shotblasting, equipment C50L SHOT B..
LARGE 140 LITRE SHOT BLAST POT. 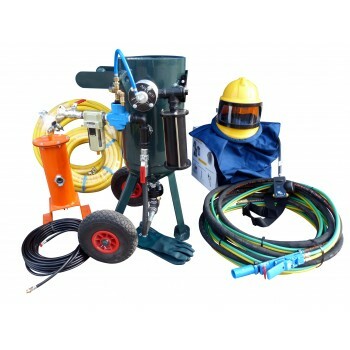 GREAT FOR LARGE SITES WHERE POT MANOUVERABILITY IS ESSENTIAL .... ..
LARGE 140 LITRE SHOT BLAST POT KIT. 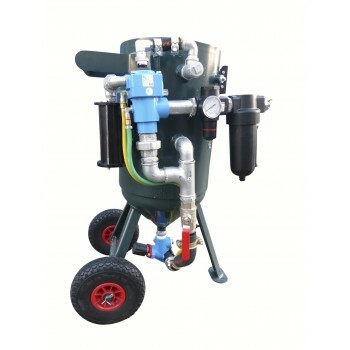 GREAT FOR LARGE SITES WHERE POT MANOUVERAB..